13 “As it is written in the Law of Moses, all this disaster has come upon us; yet we have not made our prayer before the Lord our God, that we might turn from our iniquities and understand Your truth. 14 Therefore the Lord has kept the disaster in mind, and brought it upon us; for the Lord our God is righteous in all the works which He does, though we have not obeyed His voice. 15 And now, O Lord our God, who brought Your people out of the land of Egypt with a mighty hand, and made Yourself a name, as it is this day — we have sinned, we have done wickedly! The thing about Daniel that I appreciate most is his devotion to God and to a pure life. From his youth he “made up his mind that he would not defile himself” (Dan. 1:8). He also had a practice of praying on his knees three times a day (6:10); and much of his praying was with fasting (9:3; 10:3). If we are to stand in the gap for others this must also be our manner of life and devotion. We must lose ourselves for God and for others. 1. An intercessor has a life of devotion to God. 2. An intercessor must associate himself with the sins of the ones he is interceding for. When Daniel prayed for the people of Israel he counted himself as one who was guilty. And so, instead of praying, “Lord, they have sinned”, he prayed, “Lord we have sinned.” So if we are to be a true intercessor, we, as Daniel, should not position ourselves above those we are praying for, but we should humble ourselves, remembering that “there is none righteous, not even one” (Rom. 3:10). If anybody was found righteous in the entire Bible it would have been Daniel. But he knew that he was a sinner just like all other men, and so he put himself in the same boat with them. This is the first point of our association with the sinner as we intercede. But there is another point of our association with the sins of others. An intercessor not only associates with the sins of others in terms of mutual sin—such as, you’re a sinner and I’m a sinner too—but he in fact makes their sin his sin. And so, just as with Daniel, if we are truly interceding for others, we will feel as if their sin is ours, and we will feel the pain of that sin. Now, we won’t in reality come to believe that their sin is actually ours, but in our identification with them and their sin we will become so burdened down with their sin that we will actually feel the same burden and sorrow over the sin as they feel, and also, even more, as Christ feels. For we as believers mystically share in the sufferings of Christ for sin; Paul called it the fellowship of His sufferings (Phil. 3:10). 3. An intercessor must have a correct view of God. As we address God we must give Him His due adoration. Observe how Daniel viewed God from the following verses of Daniel 9. 4. An intercessor bases his requests not on his own merits or on the merits of the one he is interceding for, but on God’s compassion (v. 18). This is evident in this prayer by the amount of time that is spent on praising God and confessing sins. No time at all is spent on bragging to God about good deeds, etc. If anyone could boast about his merits it would be Daniel, but he instead humbled himself in recognition that only God is truly righteous. 5. Intercession must be only for God’s glory and for His name (v. 19). If one has a desire to be healed, if there is deliverance that is sought, if there is even a soul to be saved, it must be for the glory of God and not for personal gain or recognition. 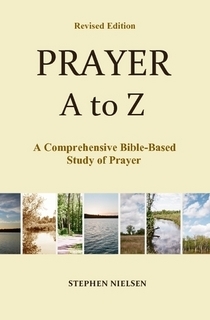 This entry was posted in Intercession -- Parts 1-3, Prayer A to Z Excerpts and tagged Daniel, Daniel 9:3-19, forgiveness, intercession, Jesus Christ, Philippians 3:10, praise, prayer, Romans 3:10, sin. Bookmark the permalink. Thanks very much very much so educative and encouraging. God bless you. Your welcome. Keep up with your prayers.